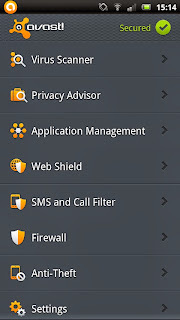 Here are the list of android applications, which will make your smartphone safe and handy. Performs on-demand scans of all installed apps and memory card content, as well as on-access scans of apps upon first execution. Options for scheduling scans, virus definition updates, uninstalling apps, deleting files, or reporting a false-positive to our virus lab. Similar to Windows Task Manager, it shows a list of running apps and their size (MB), CPU load, used memory, and number of threads and services – with an option to stop or uninstall. 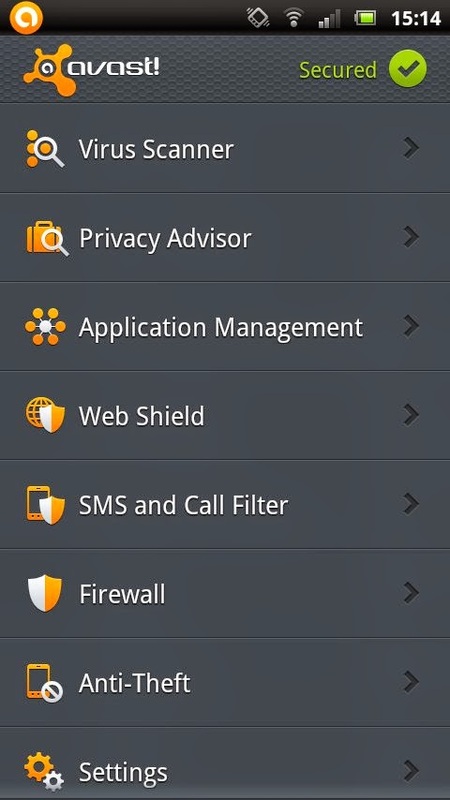 Scans and displays (grid) access rights and intents of installed apps, identifying potential privacy risks, so you know how much info you are really providing to each app. Filter calls and/or messages from contact list using set parameters based on day(s) of the week, start time, and end time. Blocked calls redirect to voicemail, while blocked messages are stored via filter log. Also possible to block outgoing calls. Part of the avast! WebRep™ cloud, the avast! Web Shield for Android scans each URL that loads and warns you if the browser loads a malware-infected URL. ✔ Just like real life - Swipe a task with your finger to mark it as complete. ✔ Shake it away - Shake your device to remove all completed tasks. 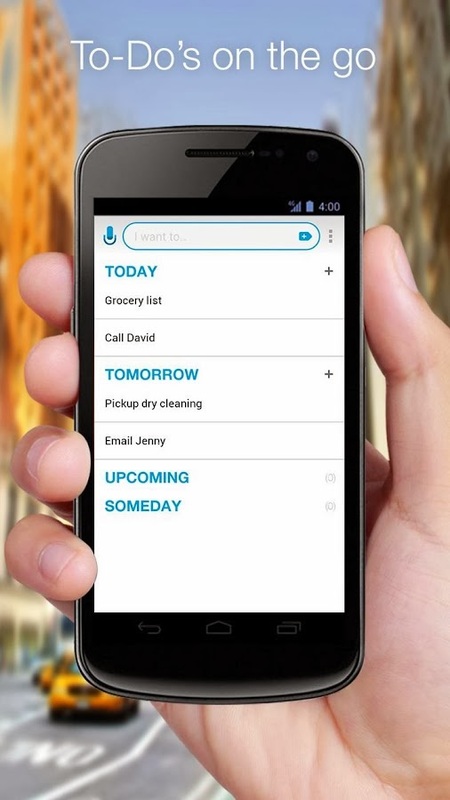 ✔ Powerful widgets - Add a widget to your home screen to see all the things you need to do - just when you need them. 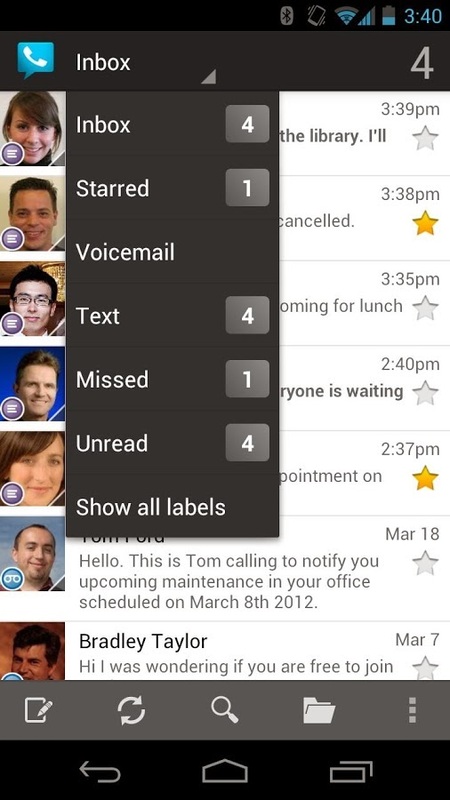 ✔ Don't miss another call - Turn missed calls into reminders. ✔ Make it personal - Choose your favorite app theme (white or black). ✔ Do it your own way - You can easily customize your folders, so you can organize your tasks to best suit your needs (for example: Work, Home, Errands). Plus, you can have as many folders as you wish. ✔ Your tasks, Your choice - You can switch between Date view (Today, Tomorrow, Upcoming & Someday) and Folder view, it's up to you. There is nothing terrible about the native Web browser that ships with Android, but the Dolphin Browser HD does everything better. 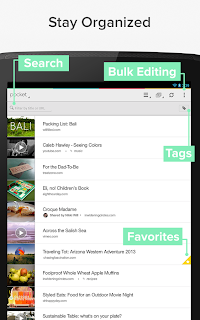 You can set up custom gestures, it syncs with Google bookmarks, and it supports a bunch of plug-ins. The ability to create tabs is worth the download all by itself. New York Times, Business Week, and TechCrunch call it "DVR for the web." 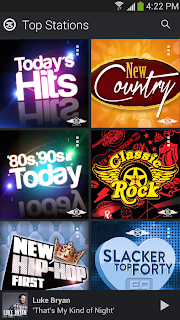 Previously the #1 paid Android news app, now free! 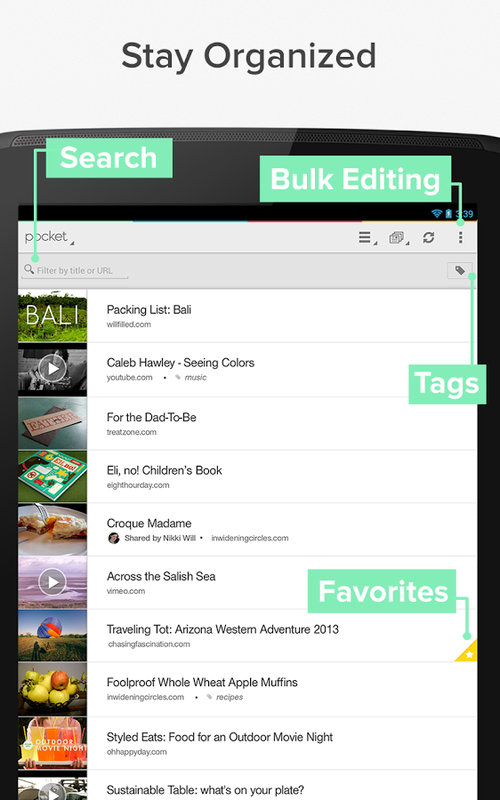 WHAT YOU CAN POCKET: Articles, videos or pretty much anything you find online. 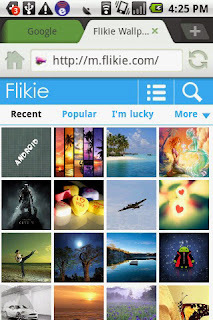 SAVE FROM ANY APP: Save to Pocket from any app on your Android device. Just tap 'Add to Pocket' when sharing a page. READ IT LATER USERS: Simply log into Pocket using your Read It Later username and password for a seamless transition. 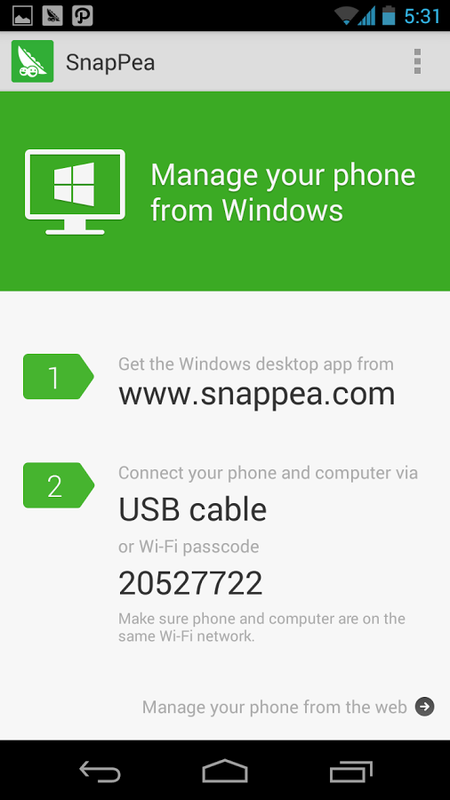 Think of SnapPea as the iTunes for your Android Device. 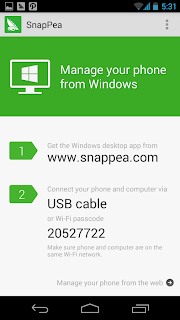 Install the software on your PC, tweak some phone settings, and from that point on you can use SnapPea to manage your music, photos, videos, and contacts from your desktop. From this interface, I was able to see six different contact entries for a single person and merge them into one with a few clicks. You can also side-load apps from your desktop, so that 15MB app download doesn't hit your data cap. This is the best way to get big files on and off your phone. 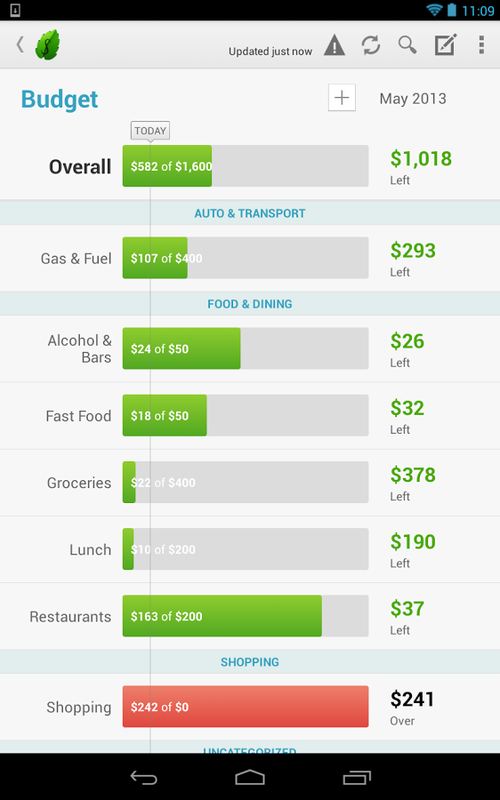 • Get the free app and sign up for free with Mint. • Securely connect your accounts. • Mint automatically organizes everything and creates a budget for you. Your app is password protected. If you lose your device, or even temporarily misplace it, simply log-on to your Mint.com account and deactivate device access from your profile page with one easy click. 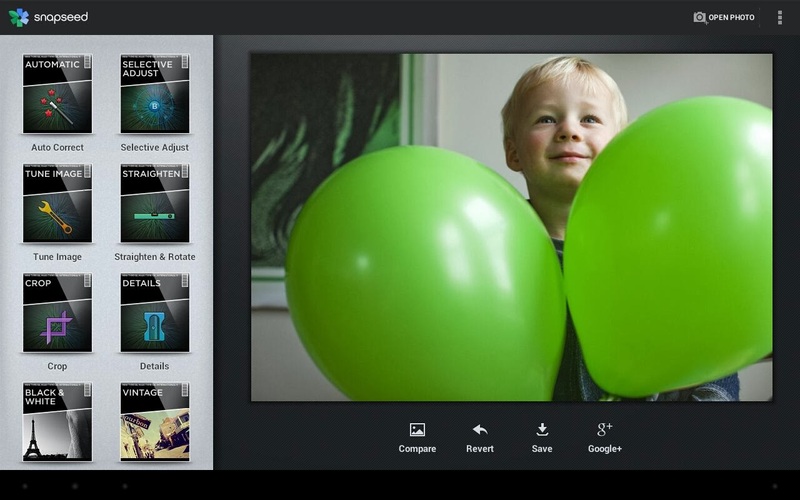 Snapseed is the photo app you’ll want to use every day. 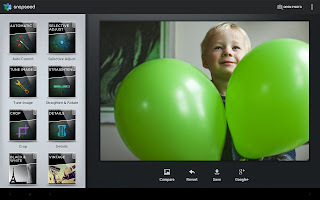 It makes any photograph extraordinary with a fun, high-quality photo experience right at your fingertips.Anyone can enhance, transform, and share their photos with ease using incredibly advanced features from the leader in digital photography software. Built-in Google+ capabilities make it even more powerful to share your images with your friends and family. • Crop - Easily crop images to remove distracting parts of your photo with standard aspect ratios, or a free crop. • Center Focus - Draw attention to the subject of your photo by blurring and adjusting the brightness of the surrounding background. 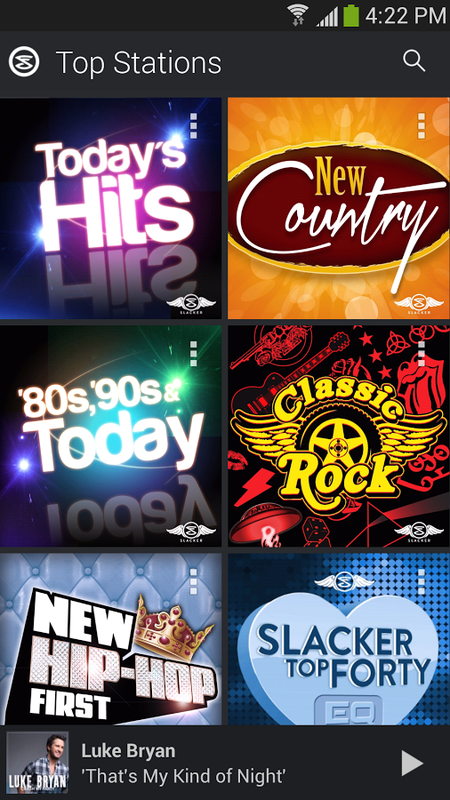 • Frames - Add stylized borders to photos for the perfect finishing touch. • Retrolux - Make your photos look truly retro with light leaks, scratches, film styles, and more. 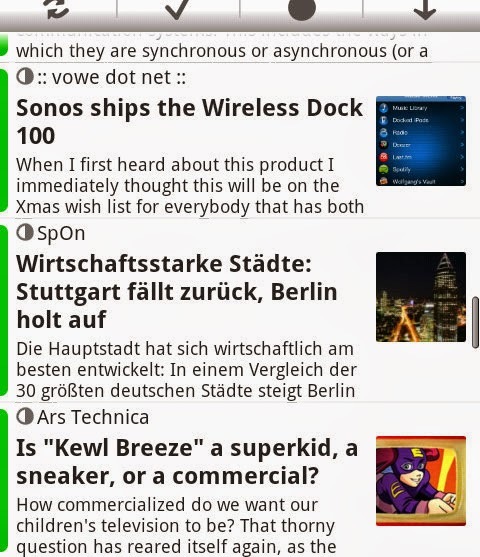 I have used Google Reader, but I have to say I prefer NewsRob for quickly scanning my RSS feeds. The interface is cleaner, and with a few quick clicks, I can send stories to my e-mail, Twitter account, EverNote, or even to Instapaper. NewsRob lets me scan 150 to 175 headlines on my 20-minute train ride to work. 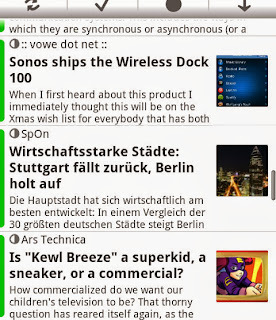 Maybe your information needs aren't quite as intense, but it is still the RSS reader to beat. Sprint wanted to charge me $1.99 a month for visual voicemail, basically transcripts of my voice mail messages. But why pay when you can forward unanswered calls to Google Voice and get the same functionality for free. 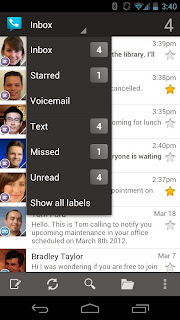 Open up the Google Voice and you can see a transcript of messages and play them back without dialing into voicemail. It can take a few minutes for the service to make a transcription, but being able to intelligently screen calls is worth the wait. - You must open Google Voice at least once after upgrading to route calls. - When using Google Voice for Android, both domestic and international calls are placed through a US-based Google Voice access number, and will use the standard minutes from your cell phone plan.